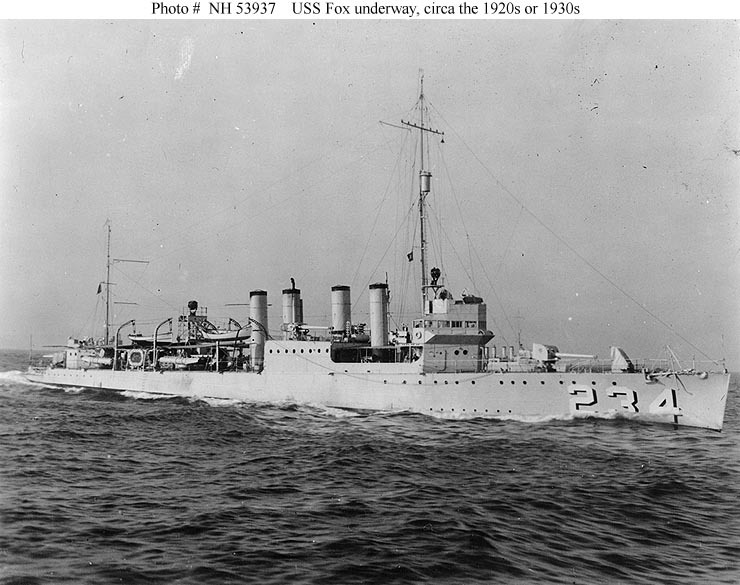 314'5" by 31'8" by 9'9"
Modifications were highly variable by unit, and increasingly so as the war wore on. 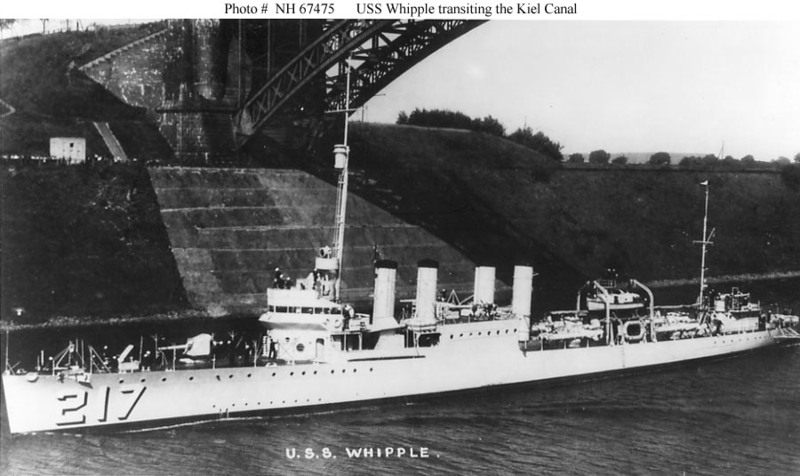 As with the Wickes, a number were converted to mine warfare vessels, fast transports, and seaplane tenders. 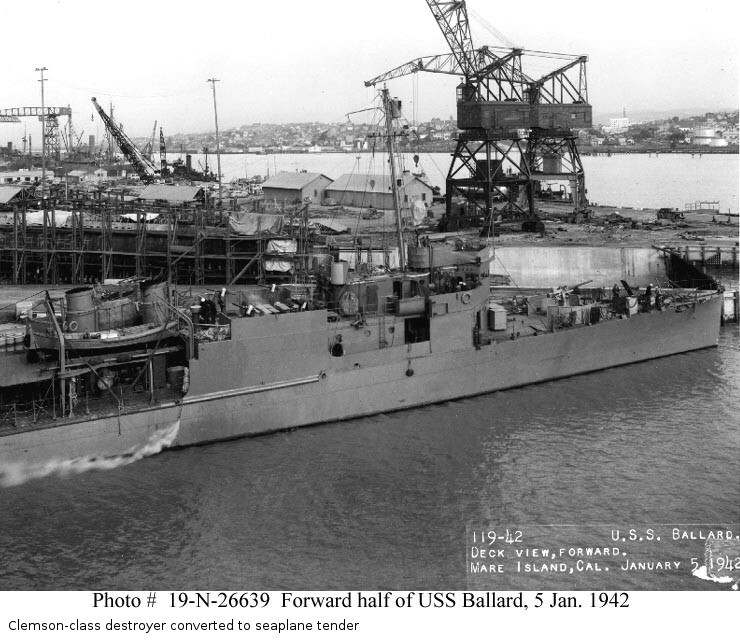 The seaplane conversions replaced the two forward boilers with gasoline storage (30,000 gallons or 114,000 liters), removing the torpedo tubes, two 4" guns, and the 3" gun, and extended the bridge spaces to incorporate more electronics. 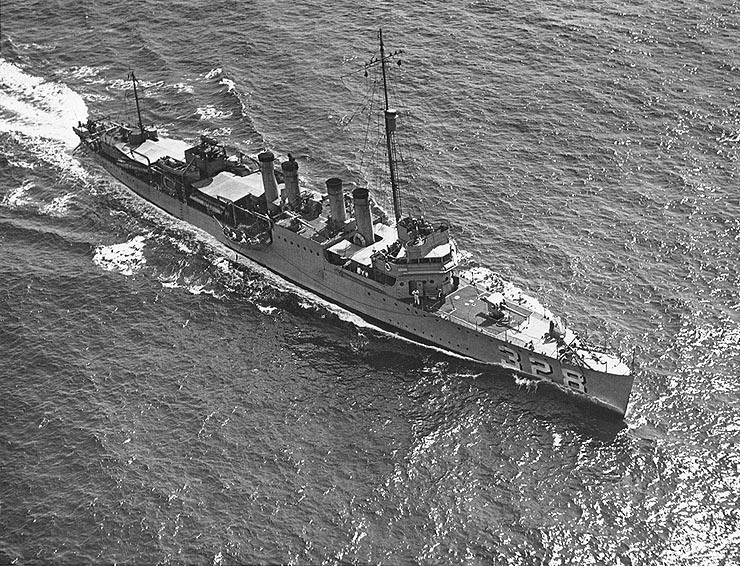 Many were converted back to destroyers once sufficient purpose-built seaplane tenders of the Barnegat class had been completed. 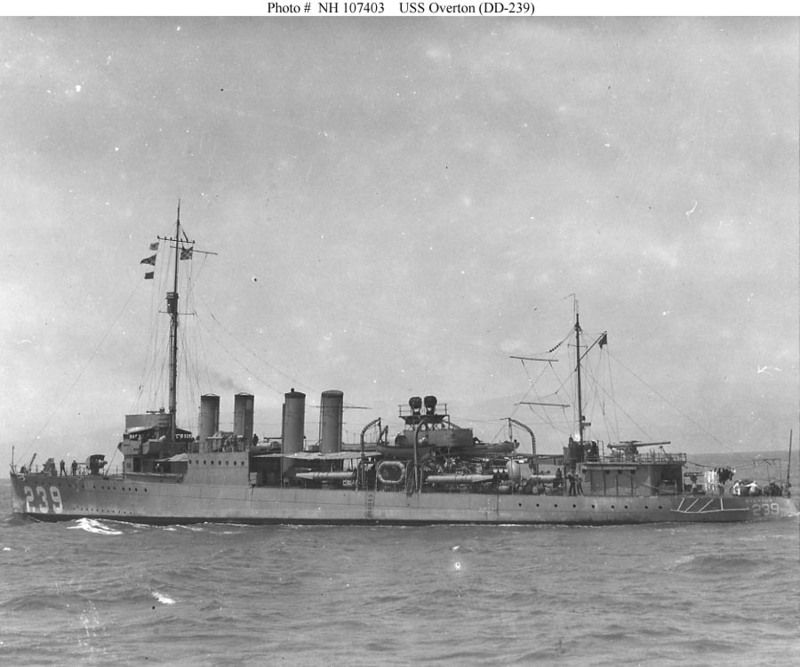 The Clemsons were the second of two major groups of "flush-deck" destroyers built by the United States during World War I, the first being the Wickes class. The main difference from the earlier group was the effort made to give the later group a consistent endurance. 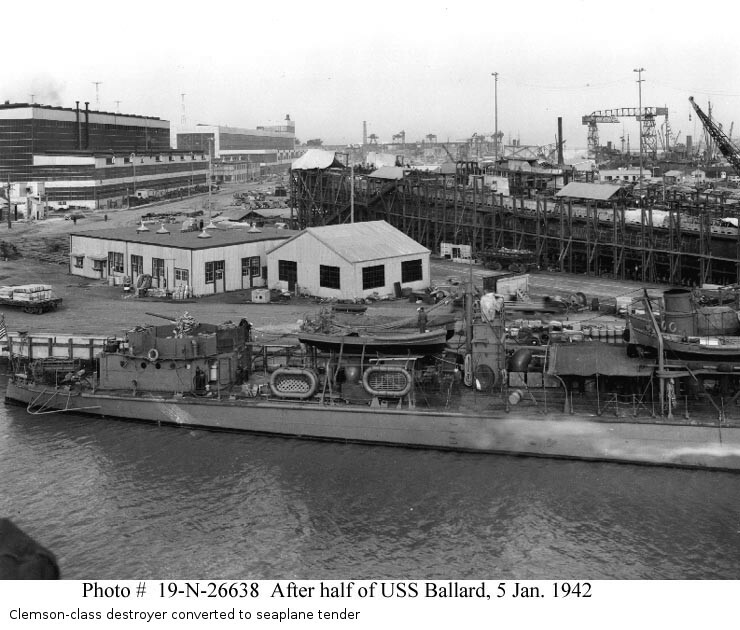 Most were completed at Bethlehem Steel yards. None were actually completed before the armistice of 1918. 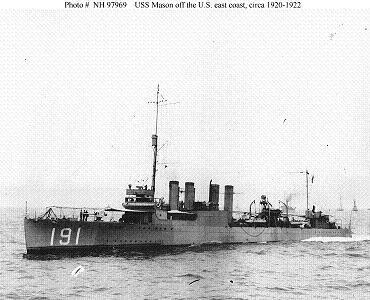 Also known affectionately as "four-stackers," the Clemsons were built in great numbers, but were already obsolescent when they joined the fleet in 1919-1920. 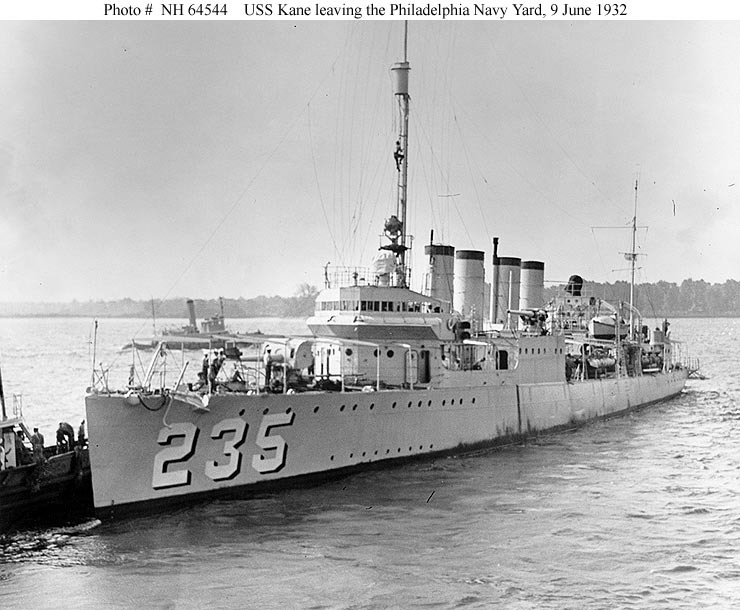 By 1942, they could rarely exceed a speed of 30 knots. 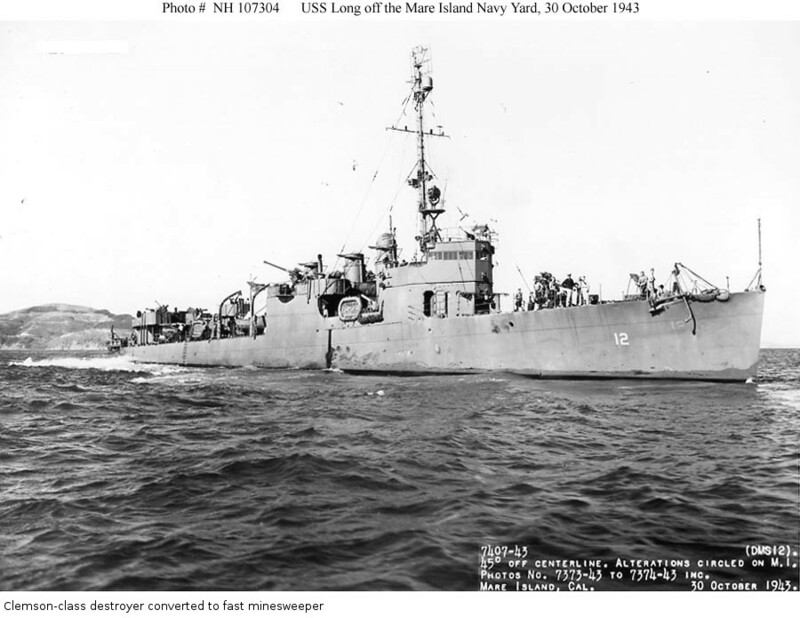 Nevertheless, so desperate were the Allies for destroyers early in the Pacific War that these elderly ships remained a significant part of their destroyer flotillas. 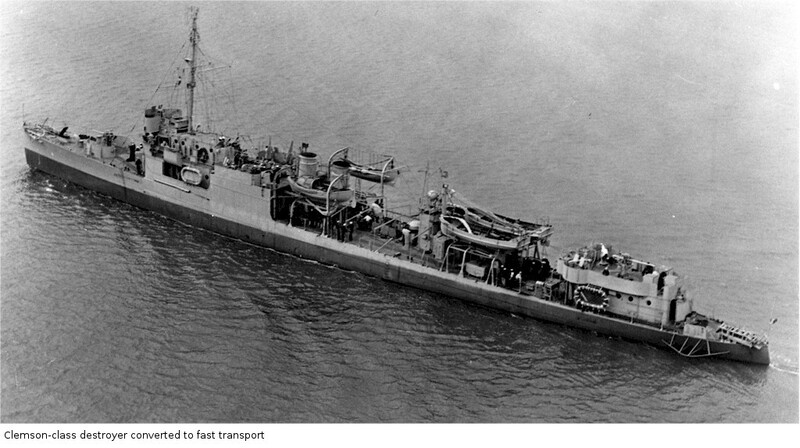 Many were converted to fast minesweepers and minelayers by removing their torpedo armament to make room for mine warfare equipment. 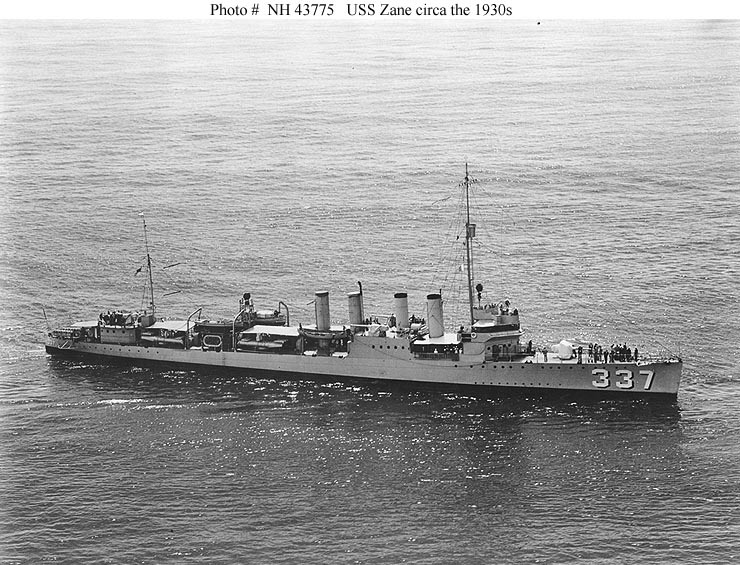 The ships had a reputation for rolling badly that would continue to be a hallmark of U.S. destroyer design until the Fletcher class. In fact, the roll rarely exceeded 15 degrees even in heavy seas. However, the record was an impressive 52 degrees, set in a severe gale. Severe rolling was usually a consequence of light loading, and Clemsons making high-speed runs were advised to be well ballasted first. 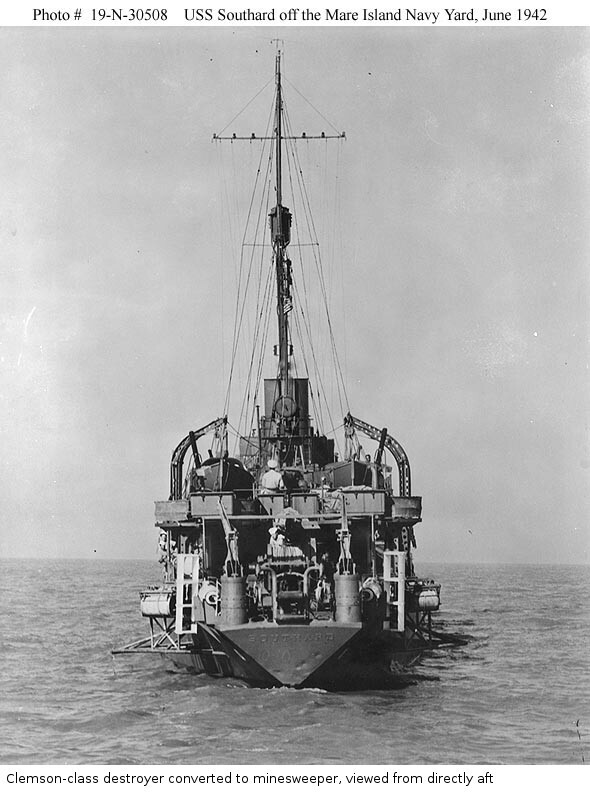 Though maneuverable, the steering gear had a tendency to break down, and they had a rather large turning circle at high speed. 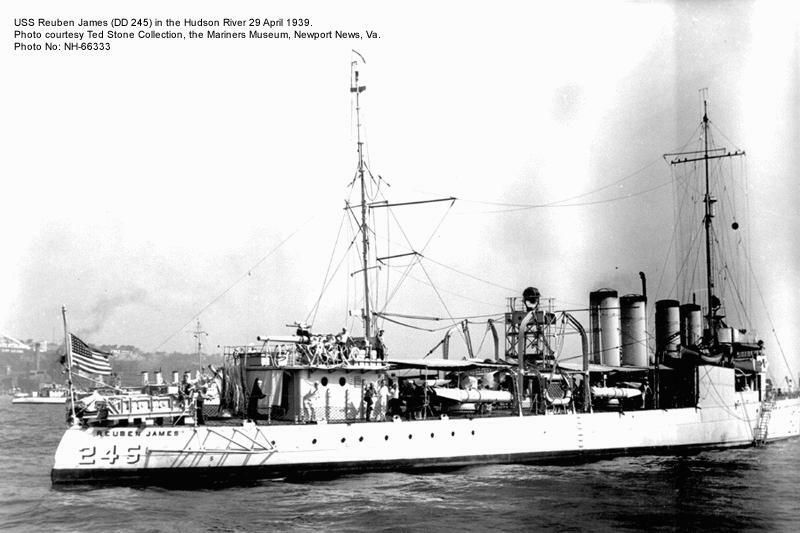 Halsey claimed he preferred to dock flushdeckers at a speed of ten knots. 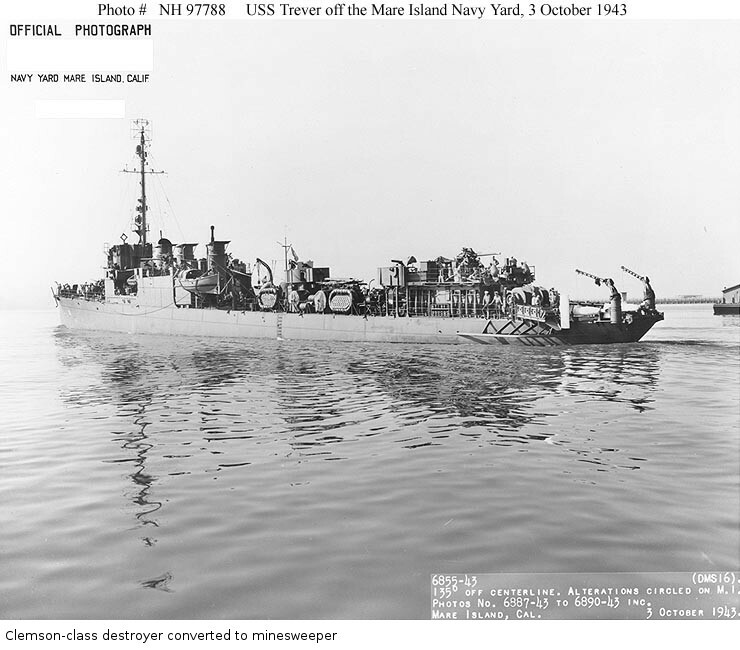 The torpedo tubes were not well arranged, so that it was hazardous to train them out during a high-speed turn due to the possibility of the tubes plunging into the ocean. 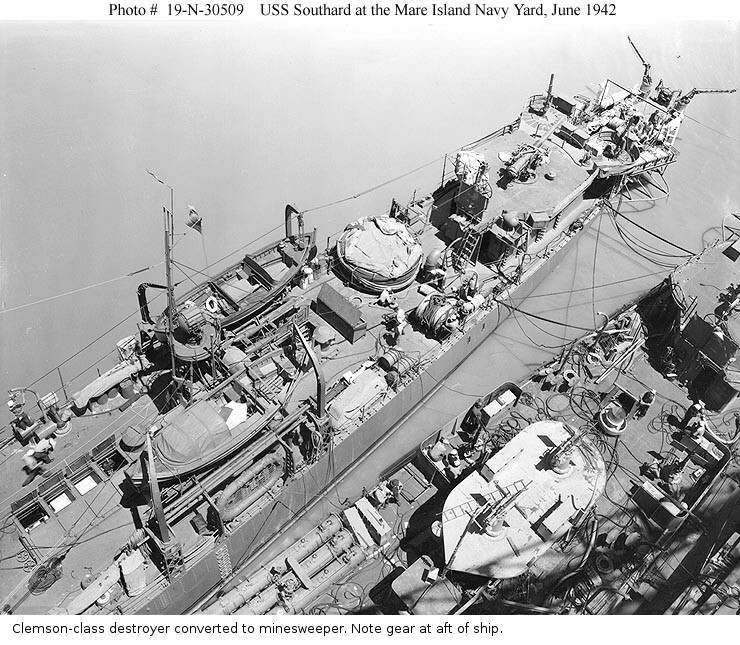 The flush decks gave great strength but made for wet ships.